Yellow cloth-backed colour pictorial glazed boards, page edges dark blue. 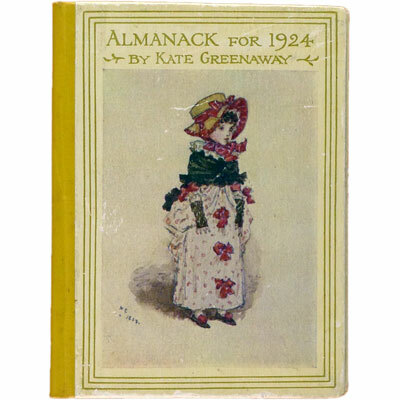 Twenty four panels with colour illustrations by Greenaway, engraved and printed by Edmund Evans. 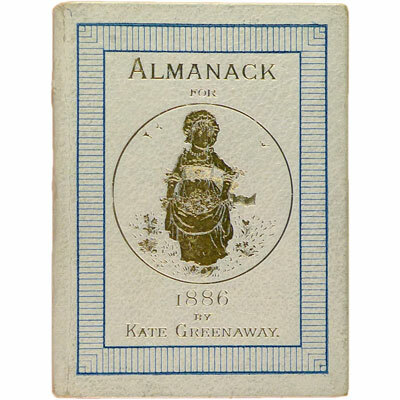 In the scarce deluxe of faux pigskin, gilt decorated and lettered pebbled white boards, bordered in blue lines, yellow-orange endpapers, all edges gilt. There was also a standard edition of glazed pictorial boards. 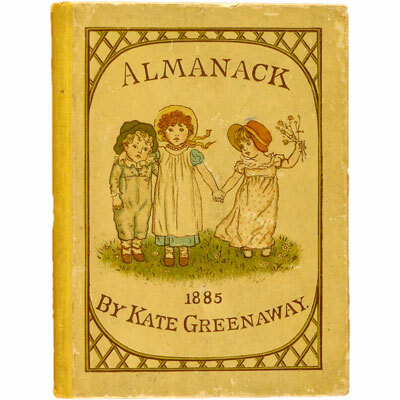 Possibly the most important catalogue of children's books ever Issued. 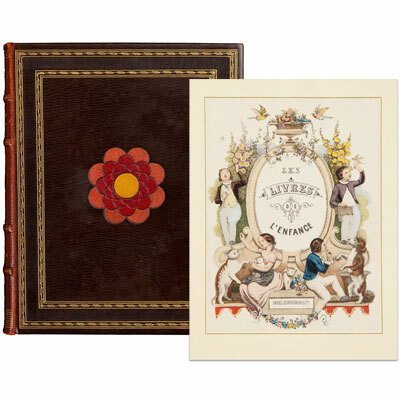 Two large quarto volumes, text in French and English, illustrated with 336 colour and black and white plates. The immensely popular 19th century collection of myths, legends, and ghost stories, purportedly written by Thomas Ingoldsby of Tappington Manor, but actually composed by English clergyman R.H. Barham. Best remembered for their quaint narratives and their comic and grotesque treatment of medieval tales, this edition wonderfully illustrated by Arthur Rackham with 12 full page colour plates, along with numerous black and white full page and in-text illustrations. 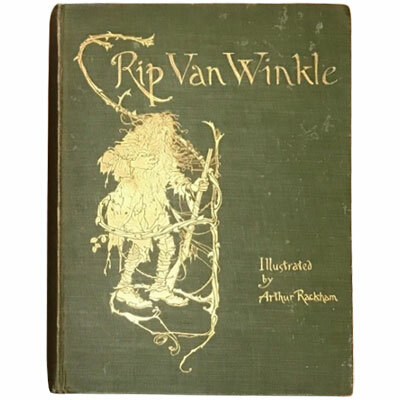 A beautiful rendition of ‘Rip Van Winkle’ in which the story is first told in words, and then retold again through the imaginative fantasy land of Arthur Rackham’s 51 colour plates. The plates are on green card, 50 have descriptive tissue guard, and the extra plate, an extension of the illustration ‘These fairy mountains’ is shown on the verso of sheet three at the rear. A lovely story written and illustrated by Rockwell Kent, telling of a battle between a good and bad fairy, and the gifts they give to a little girl, just christened. Signed and numbered by Rockwell Kent, and with the name ‘Joan’ to the dedication page. Bound in lithographed silk design by Rockwell Kent, silk endpapers, and with twenty leaves of individual black and white wood block prints each surrounded by intricate borders.